The world of sparkling wine is wonderfully diverse and complex. In fact, sparkling wine is one of the most technical wines in the world to make as it must undergo two fermentations in order to produce the enchanting bubbles that everyone loves and enjoys. There are five main sparkling winemaking methods and each one creates a style of wine that is unique and distinct. The first method is called the Traditional Method also known as the Methode Champenoise or Methode Classique. 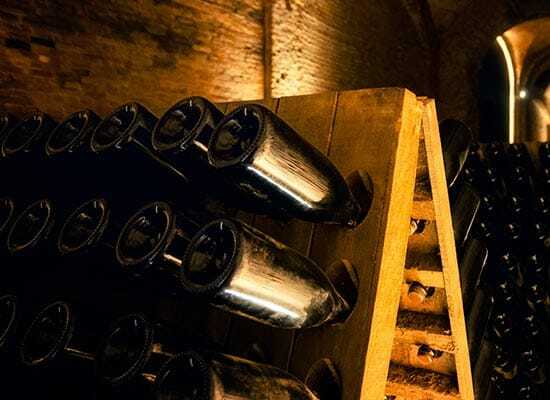 This method is used to produce the best quality sparkling wines like Champagne, Cava, Cremant, Metodo Classico Italian wines like Franciacorta, and some German Sekt. This production method is cumbersome and thus, costlier than the others as it requires more time and manual labor to achieve the final product. In this method, the base wine is fermented in barrel then it is bottled with the addition of a liqueur de tirage, a mixture of wine, yeast and sugar. The bottle is then sealed, not with a cork but with a crown cap, similar to those found on beer bottles. A second fermentation is triggered once the yeast cells begin to consume the sugar, resulting in the release of carbon dioxide (bubbles). The CO2 is trapped in the sealed bottle and is reabsorbed back into the wine. The bottles are then placed in wooden riddling racks or pupitres that hold the bottles at a downward-facing angle. Over the course of several weeks, the bottles are turned and twisted to allow the spent yeast cells or lees to accumulate at the neck of the bottle. This process is known as riddling or remuage and is typically done by hand however, larger wineries may use a machine to automate the process. Most high-quality wines produced in the traditional method are left to age on their lees for several months or even a few years. This extended lees contact or sur lie results in a wine with fine bubbles, generous texture and a higher concentration of yeasty or autolytic flavors and aromas like toasted almonds, sour dough bread, and brioche. Champagne laws require that winemakers age their wines for a minimum of 15 months and a minimum of 3 years when producing a vintage Champagne. For Cava, there is a 9 month minimum aging requirement and a 30 month minimum when producing a Gran Reserva Cava. After the ageing process is complete, the bottle is submerged into a freezing liquid solution for a few minutes which allows the yeast sediment to freeze. The cap is then removed and the pressure in the bottle rapidly ejects the yeast deposits out of the neck of the bottle. This unique process is known as disgorgement. The bottles are then topped up with reserve wine or liqueur d'expedition along with a measured amount of a sugar called dosage. The amount of sugar added to the solution determines the category of sweetness (i.e. Brut Nature, Extra Brut, Brut, Extra Dry, Sec, Demi-Sec, and Doux). In the final step of production, a traditional cork is inserted, and a wire cage is fastened around it to secure the cork in place. The second method used when producing sparkling wine is called the Transfer Method and it follows most of the same steps as the Traditional Method up until the remuage or riddling process. Instead of undergoing the costly and time-consuming process of riddling, the wine is emptied from its bottle with its yeast sediments and is transferred into a large pressurized tank. The wine is filtered under pressure and the final product is bottled. This method is produces a wine similar in style to the Traditional Method but with less intense yeast characteristics and a more subdued creaminess. 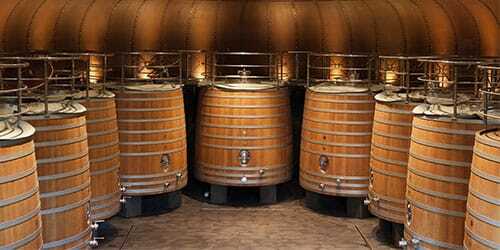 In this method, the base wine is fermented in tanks at low temperatures, creating a wine that is low in alcohol with a high amount of residual sugar. The winemaker then drops the temperatures even lower, essentially pausing the fermentation process for a few months. The wine is then bottled, and the fermentation continues once the yeast cells inside the bottle become active again. The carbon dioxide is trapped in the bottle and once the desired level of CO2 is reached, the winemaker chills the wine, filters out the remaining yeasts, and rebottles the wine. There is no liqueur d'expedition added after the wine is disgorged as the final wine already has a high level of sweetness. The Ancestral Method or Methode Ancestrale, is believed to be one of the oldest forms of sparkling winemaking as the yeasts cells in the wine would go dormant in the cold winter months, then they would awaken in the spring to complete the fermentation process. The Tank Method or Charmant Method is the main method used for producing Prosecco Lambrusco, Asti, Moscato d'Asti, and some German Sekt. Here the first and second fermentation take place in a large pressurized tank. The second fermentation is induced by the addition of a yeast and sugar solution (tirage). The carbon dioxide produced during fermentation remains trapped in the pressurized tank and dissolves back into the wine. Because of the tank's large volume, the amount of lees contact with the wine is decreased, resulting in a wine with more fruit characteristics and larger bubbles. The winemaker will then filter the wine under pressure and bottle the final product. 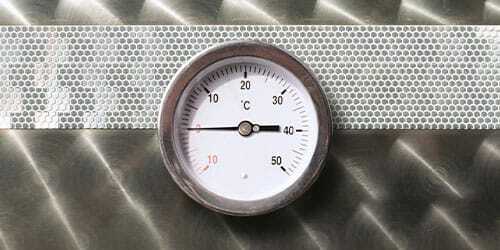 The quickest and easiest way of producing sparkling wine is through carbonation or gas injection. This method requires very little time and labor as the winemaker is simply injecting carbon dioxide into a still base wine. This method produces a wine with large bubbles that dissipate quickly and is typically only used for inexpensive bulk sparkling wine. 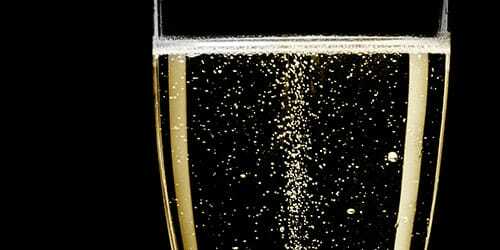 Some of the most famous sparkling wine regions in the world include: Champagne, Prosecco, Cava, and California. Popular brands from these regions include legendary Champagne houses like Veuve Clicquot, Dom Perignon, and Louis Roederer. They are seen as the benchmark producers for high-quality Champagnes as well as a status symbol for many consumers. 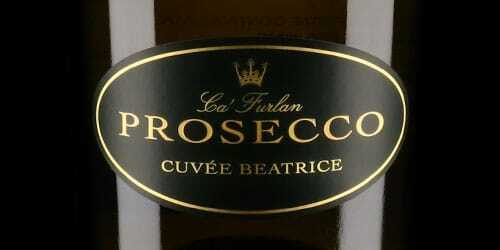 In Prosecco, Italy our most popular producers include Bisol, Desiderio Jeio and Ca’ Furlan. In Cava, top producers include Raventos i Blanc and Juve y Camps And lastly, popular brand Schramsberg Vineyards, is considered to be one of the top sparkling wine producers in California and is seen as the first wine in the United States to have matched the quality and style as some of the top Champagnes in France.